Detroit in One Word: Indomitable. Amid the global participants at Cannes, the Lowe Campbell Ewald: Detroit – Reboot City seminar opened with an observation that a lot of reporters tour Detroit, take a few photos of the run-down, empty buildings, write their headline that ‘Detroit is dead’ and then leave. What they fail to understand is the mecca of creativity, art, grit and inspiration that encompasses the city. It’s the type of creative energy that drove Lowe Campbell Ewald to return to downtown Detroit from the suburbs earlier this year after asking themselves what they could do to change their culture. Lowe Campbell Ewald’s Chief Creative Officer, one of the seminar’s speakers, felt the creative ‘can do’ spirit of downtown would offer an inspiring recharge to the agency’s more than 500 employees. And so far it has done just that. Since making the decision to move its offices, the 103-year-old agency has taken the city’s rejuvenation as a personal crusade – developing campaigns that show local entrepreneurs and creatives in action, and in turn, bringing about a local pride that not many cities in the U.S. can attest to. Lowe Campbell Ewald’s dedication to its city is something familiar to Mark’s colleague Jose Miguel Sokoloff of Lowe SSP3 Colombia, another one of the seminar’s speakers. His campaign helped bring true change to Colombia, helping to demobilize FARC guerrillas in the country. 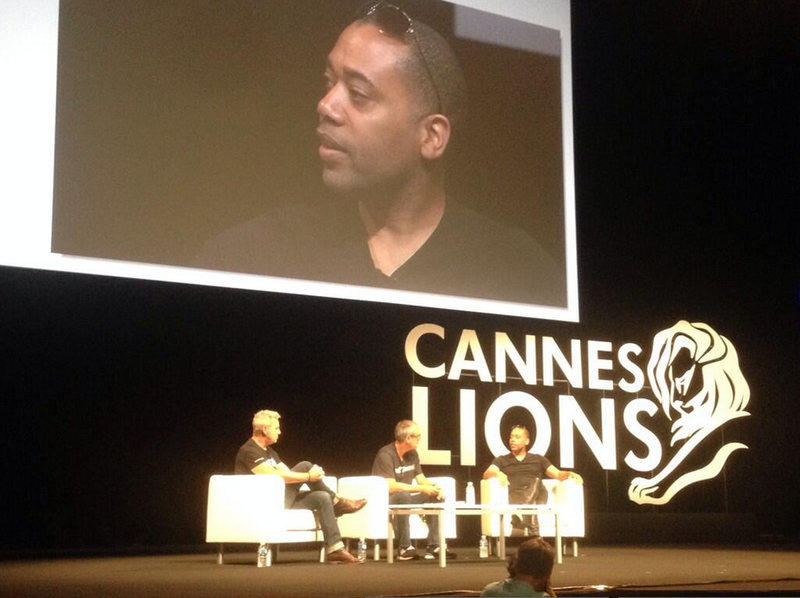 At the seminar, and by blanketing the streets of Cannes with “Detroit vs. Everybody” t-shirts, the two award-winning creatives brought global attention to Detroit’s local game changers. From entrepreneur Veronika Scott, whose not-for-profit The Empowerment Plan employs former homeless women to make puffy coats that turn into sleeping bags to help the homeless of Detroit battle the brutal winter, to Shinola Detroit, a watch factory with a laser focus on bringing manufacturing back to the U.S.– it’s clear that Lowe Campbell Ewald is onto something good by surrounding themselves with the like-minded sheer determination to rebuild Detroit. Seminar participant and famed DJ Carl Craig cited drum and bass as a new genre of music that was emerging around the time he was carving his own career in Detroit. Craig spoke about Movement, an electronic dance festival held in Detroit each Memorial Day weekend, and how it had contributed to the culture of the city. Ghetto Recorders, explained by Craig as a stalwart Detroit recording studio, has also been central to the defining the sound of the city. Artists such as The White Stripes and Electric Six have traveled to Detroit to record within its cement shell – the sound softened only by some carpet found by Ghetto’s Jim Diamond. A little of the wild west, indeed. The last Detroit local celebrated by the seminar participants was Airea “Dee” Matthews, who appeared on a beautifully shot video reciting “Wisdom,” a Katrina poem. The words were hauntingly relevant to Detroit. Cannes Lions is a Festival that celebrates creativity and seeks to inspire, but if being in the south of France in June isn’t possible, perhaps a trip to Detroit is just what you need to get your entrepreneurial and creative juices flowing. Posted on June 20, 2014, in Cannes, Cannes Lions, The Hit Board and tagged Cannes, Cannes Lions, Detroit, Lowe Campbell Ewald. Bookmark the permalink. Leave a comment.